Contemporary business doesn't enjoy the benefit of the doubt! Why Accurate Language Translation Matters in Cross-Culture Business Communication? | Gingkos-Inc.
Our yearning for a more connected world pushed us into discovering wheels, internet and airplanes. With every passing second, the world gets a little more connected and divine. Seriously, how else do you justify a hologram sitting next to you of a person who is, geographically, seas apart from you? Has to be some divine force doing all this. One thing, however, has always been a curse to this phenomenon- The Curse of Language Barrier. ‘Language’ and ‘Barrier’, the two words are contraries in themselves. Language is supposed to connect people but it can be a barrier if it’s not understood, or worst, misunderstood by people. This is why it is important to master the art of removing language barrier when you are functioning in a geographically-different country with different culture and language. Globalization has paved the way for international business to flourish like never before. Today, people travel all around the world for business meetings, functions and negotiations. In doing so, they come across people who can potentially provide benefit to the business. Increasingly, the need to translate business cards, brochures, flyers, product manuals and all other marketing campaigns into local, more comprehensible language has garnered attention as one of the primary elements that can pave way to the success of your business. Just because you know two languages doesn’t necessarily mean that you can translate. The significance of correctly translating and localizing the content of your business card, or any other marketing tool, could be understood from the fact that it forms the basis of your introduction to the people who you are trying to connect with. Mistranslation, far from being faithful can potentially distort the meaning behind the content and obscure the true sense behind it. Your message either is not comprehended by the other person or worst remains misunderstood. This is why you must always trust professional translation services with your marketing tools and material. Only a professional, who is bilingual and has command on both the languages can help craft your message so that it retains its original essence and impact when transformed into another language. The Middle East, for example, has been a busy magnetic hub for business from all around the world. The Middle East Business culture is unequivocally distinctive from the world. The norms that guide the Middle Eastern culture makes an important part of their business activities and transcends to almost every level of the business. This makes language a very important aspect that can help in strengthening business relationships with people in the Middle East. Arabic is one of the most difficult languages, and for correctly translating your business cards or marketing materials into Arabic you must only rely on professional translation services. While translation seems like an unpretentious thing to do, the fact that many top business personnel and companies fail miserably at this task which highlights that it’s not as easy as it sounds. There are several cultural and linguistic factors that have to be considered before crafting a perfectly composed sentence. Middle Eastern businesses form a great part of the world trade, however, even the top notch people up the hierarchy are loyal to the Arabic language. They know and prefer communication in Arabic as part of enriching the cultural values and propagating the language. Lack of professionalism can lead to serious mistakes that can damage your reputation. Recently there was a case of an exceptionally well running business men who visited the Middle East and got their business cards translated into Arabic. There were missing letters in the Arabic that made words meaningless. Now this kind of mistake can put off your customers. It takes away from your professional vibe and results in lost deals. 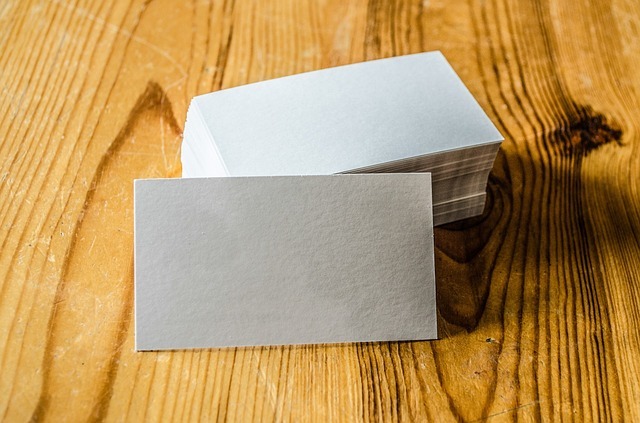 Business cards and promotional tools are first impression with business contacts and has to be flawless. Consider hiring quality and professional translation services to avoid all the misunderstanding that might come along. A poorly translated content can cost the business not only reputation but also in monetary terms. Businesses invest in time, skills, effort and attention in making the money and reputation, and with one weak mistake all of the efforts can go in vain. Contemporary business doesn’t enjoy the benefit of the doubt! Businesses have to do their research and stand firm in what they want to achieve with the content. Translations have to be as good as the original content to deliver 100% of the meaning with an impact, otherwise, there won’t be any use. For that to happen, you should only consult professionals who have mastered the art of linguistics. While you can find many translation services, it is important that you do market research before hiring one. Only specialists with high linguistic skills and industry wise compatibility can cope up with the challenges of translation. For technical industries like engineering and healthcare, the challenges can be quite soaring. You have to know the literal terms before actually translating them.